This week marked the centenary of Britain’s involvement in World War I, with the BBC providing wrap-around coverage. It was the war “to end all wars” but sadly 100 years later the carnage in Gaza, Ukraine and elsewhere suggest the world has not learned from its past actions. Perhaps we can learn something about our own field of medical imaging from the actions of a remarkable Polish woman, Maria Sklodowska, better known by her French name, Marie Curie. 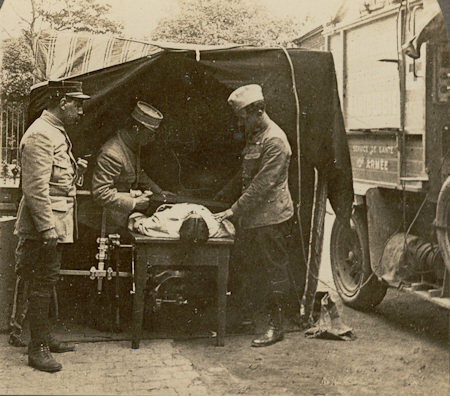 By the time Archduke Franz Ferdinand was assassinated in Sarajevo on 28 June 1914 – thus precipitating World War I – the 46-year old Curie had twice been awarded the Nobel Prize. 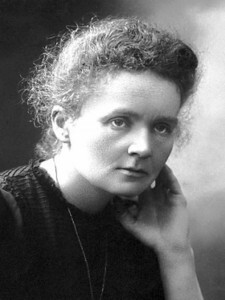 She shared the award for physics in 1903 with Henri Becquerel and her husband Pierre for their research on radioactivity, and then eight years later she was the sole recipient of the award in chemistry for her discovery of polonium and radium, and the study of these remarkable elements. 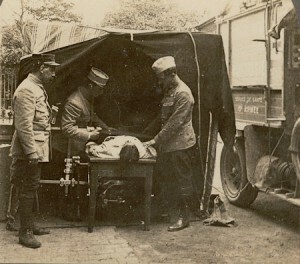 An X-ray vehicle, known as a "petite Curie"
The ultimate challenge for any developer of a mobile X-ray machine is to build a device light enough to be easily carried by a single person. Last year we highlighted a company that had developed a miniature X-ray source based on a process called triboluminescence. 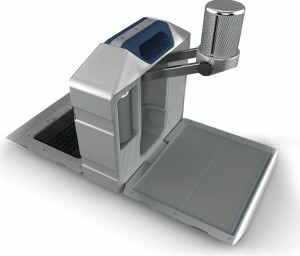 While their first product will be used for identification of precious metals, Tribogenics have just announced the development of a portable X-ray system weighing less than 11kg that will be deployed on the battlefield in future (see image at right). They are even planning to develop a portable CT machine for the head and neck that could be used by paramedics in the field. We’ve certainly come a long way since Marie Curie’s efforts in the autumn of 1914. Great stuff, Kit and team, keep up the items of historical interest to help us keep perspective.